Certified public accountants enjoy the prestige afforded by being members of an elite professional group. Obtaining your CPA licensure also might help you to stand out to potential employers that respect people who are able to obtain the CPA license as compared to other accountants. There is also a demand for CPAs, allowing you to enjoy good job security. Becoming a certified public accountant in Delaware will require you to complete five main steps. You will first need to complete the required education and take the required exam. Before you will be able to obtain your license, you will first need to satisfy the state's work experience requirements as an accountant. Then, you will need to complete the requirements for licensure in order to secure it. After you have obtained your license in Delaware to practice as a certified public accountant, you will need to complete your ongoing continuing education units to maintain your licensure. The state of Delaware requires that people complete a minimum of 150 semester hours of college that includes a Bachelor's degree or higher before they can gain licensure as CPAs. Your studies should include a concentration or major in accounting or an equivalent field of study as determined by the Delaware Board of Accountancy. If you haven't yet enrolled, ask for information from colleges and universities in Delaware that offer degree programs in accounting. If the program that you are currently attending is not accredited by one of these bodies, you should contact the Board to have your program evaluated so that you can determine your eligibility to sit for Delaware's Uniform CPA Examination. You will next need to make certain that you sign up for the right courses. Your studies must include a minimum of 24 semester hours of accounting classes that include auditing, financial accounting and federal tax courses. Online classes that are taken through a college or university in the U.S. that is regionally accredited are accepted, but CLEP examinations, correspondence classes and commercial review classes for CPAs are not. Before you will be allowed to take Delaware's Uniform CPA Examination, you will first need to have completed your Bachelor's degree with a minimum of 120 semester hours, including the 24 hours of required accounting coursework. Once you have completed the required minimum education, you can apply to take the exam through the CPA examination services division of the National Association of the State Boards of Accountancy. After you have downloaded the application and have registered with CPAES, you will need to make certain that you gather the required documents that must be submitted along with your application. Your undergraduate or graduate school must mail your transcripts to CPAES directly rather than giving them to you for you to submit. You will also need to submit an attestation form that is notarized and that you have signed. If you require accommodations because of a disability, you will need to submit an Americans with Disabilities Act accommodation form with your other documents. If you submit your application online, you will need to pay for all of the required fees with your credit card. If you instead choose to submit a paper application, you can pay for the fees with your credit card by filling out a form, or you can send a money order or check with your application and other documents. Once your payment and application have been received, you will be sent a notice to schedule by the NASBA. Your notice to schedule your exam will provide you with a password that you will use to access the four exam sections and will tell you the dates on which you are able to take each part. You will then need to schedule to take the Uniform CPA Exam at one of the participating testing centers in Delaware. Make sure to go to the testing center when your scheduled testing date arrives. When you have completed your exam, it will be scored and CPAES will submit your scores to the Delaware Board of Accountancy. You will then receive your scores via mail from the Board. Delaware has some practice experience requirements before you will be able to apply for licensure in the state. Before you begin working on your experience component, you will first need to take and finish the required ethics course through the American Institute of Certified Public Accountants, the ethics course is a self-study class. When you finish it, you will be given a certificate that you will need to print. You will then mail it in out and with your application for your permit and to practice to the Delaware Board of Accountancy. You will need to finish a minimum of one year of full-time work as an accountant while you are under the supervision of a CPA before you will be eligible for your license. You must earn your practical experience by working in private industry, for the government, in academia or in public practice. The CPA who supervises you must verify your work by completing your affidavit of supervised work experience form. Countable supervised experience must have been earned in the past 10 years, and your supervising CPA must have a valid license. After you have completed your education requirements, your Uniform CPA Exam and your practical experience, you will be ready to obtain your licensure. In Delaware, all CPAs must first obtain a certificate and then a permit to practice. Your active CPA license that is in good standing. In addition, you will need to have at least five years of experience working as a certified public accountant. 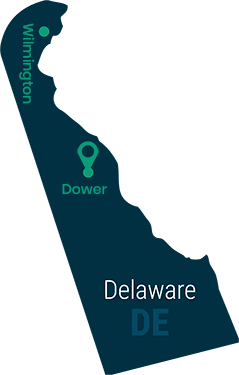 You may also be able to gain licensure with fewer than five years of experience if you can prove that you met all of Delaware's requirements at the time your license was issued or that you meet Delaware's current requirements for licensure in the state. All states and U.S. territories require that CPAs complete a certain number of continuing education units in order to maintain their licenses. In Delaware, you must complete a specified number of continuing education units biannually. The courses that you complete must be programs that have been approved by the NASBA and must directly contribute to your competence as a CPA. Every CPE class that you complete must be taught by a qualified instructor and must be a minimum of 50 minutes long. Internet seminars or webinars will only count if you are able to engage in live interaction and if they provide you with a certificate upon their completion. If you opt to take individual study or correspondence courses, the Board of Accountancy will determine how much credit will be allocated for your completion of them. If you publish articles or books, you can count them for up to 50 minutes each for a maximum of 20 CPE hours of your biannual requirements. You are required to keep proof of your required CPE hours for five years. Your documentation must include information about the location, time, date, name of the course, name of the instructor, number of hours and the manner of instruction. Being a CPA can be a rewarding career choice. Once you are licensed as a CPA in the state, you might want to join professional accounting associations. You are also able to specialize in a variety of areas of accounting. Specializing in a subdiscipline may help you to focus your practice on a specific clientele and practice type.